Nine years ago tomorrow, Tamarack Resort said it was closing and laying off nearly all of its employees with a few hours’ notice. The developer of the not even five year-old resort had taken out a $250 million loan with Credit Suisse and defaulted, leading to a Chapter 11 bankruptcy filing on February 20, 2008. The balance owed on the original $250 million loan after four years was still $247.7 million. Sound familiar? 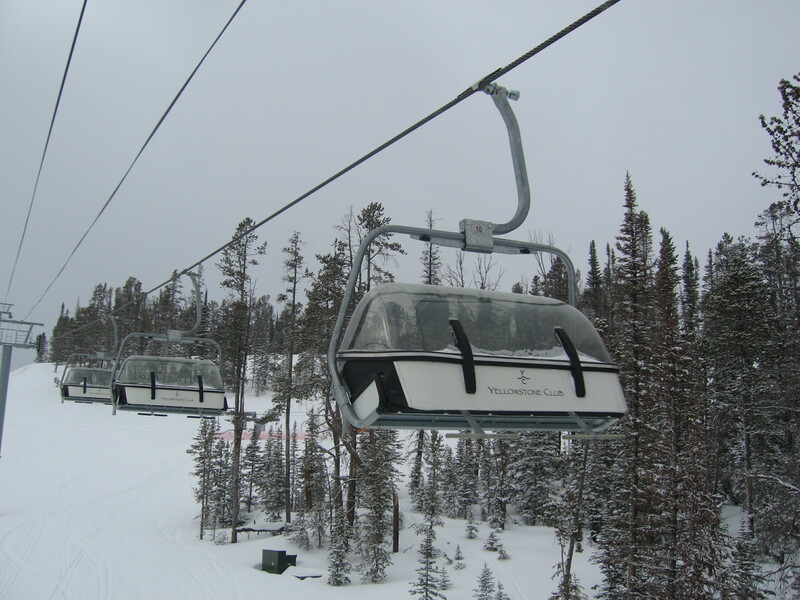 Leitner-Poma and Doppelmayr installed four lifts at Tamarack in the run up to its 2004 opening, including the flagship Tamarack Express. A bankruptcy judge turned operations over to a receiver in October 2008 in an attempt to preserve market value for a possible sale. Credit Suisse provided additional funding for mountain operations during the 2008-09 season, but after an operating loss of $2.8 million in four months, the bank had had enough and proceeded to mothball the property mid-season. A skeleton crew of employees including lift mechanics stayed on to maintain the assets for what turned out to be years. 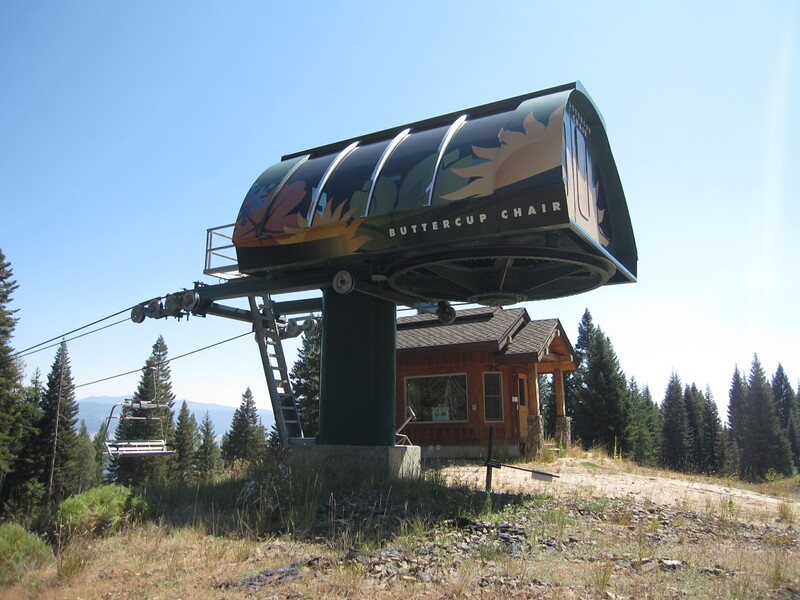 The Buttercup lift, once known as Whitewater, was rescued from foreclosure by homeowners who faced losing ski-in, ski-out access to Tamarack Resort. Around this time, another finance giant, Bank of America, asked the bankruptcy judge for permission to remove the Buttercup and Wildwood chairlifts, which were purchased from Doppelmayr with a subsequent loan. The motion was denied and the lifts sat idle along with Tamarack’s others for most of 2009 and 2010. 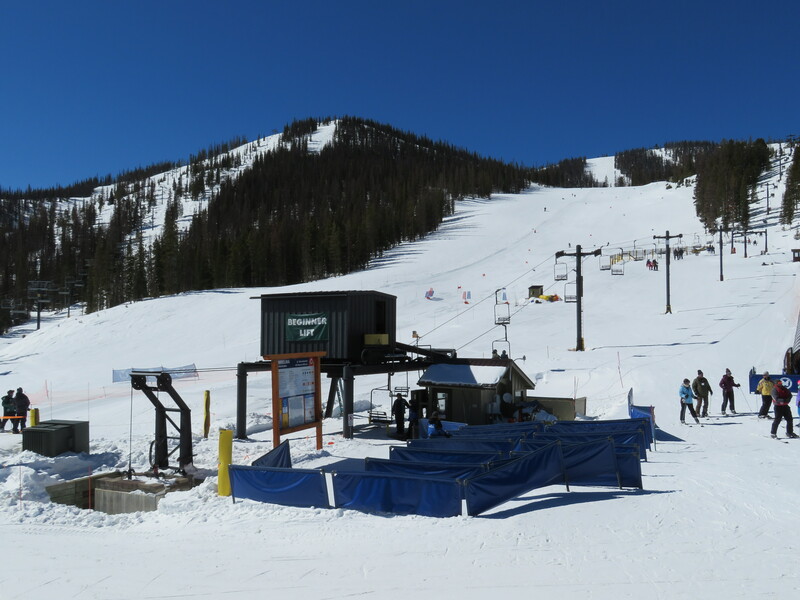 A group of Tamarack homeowners eventually ponied up to buy the Buttercup lift for $400,000 and forged an agreement with Credit Suisse to operate the ski area minus Wildwood for the 2010-11 ski season. BofA reportedly wanted millions to redeem Tamarack’s third detachable lift and the Municipal Association decided they simply could not afford it. The bank hired Highlander Lift Services and Construction, the same company that built the lift seven years prior, to remove it in the summer of 2012. “Ultimately, as sad as I am to remove it, it’s sadder to see a large $4 million machine sit there and grow cobwebs,” Paul Johnston of Highlander told the Seattle Times. “There are a lot of interested parties. It’s like buying a used car. It’s a lot cheaper, but it’s a used car with very low miles.” The Uni-GS detachable had fewer than 2,000 hours on it when it eventually found its way to Brian Head, Utah. The concrete foundations and operator houses remain at the Wildwood site, the logbook inside is still open to March 4, 2009. A group led by Credit Suisse brought in Replay Resorts to run Tamarack beginning in May 2015 but the venture was not particularly successful. The companies fell so behind on property taxes that Valley County scheduled a piecemeal auction of the resort’s assets for October 17, 2016. 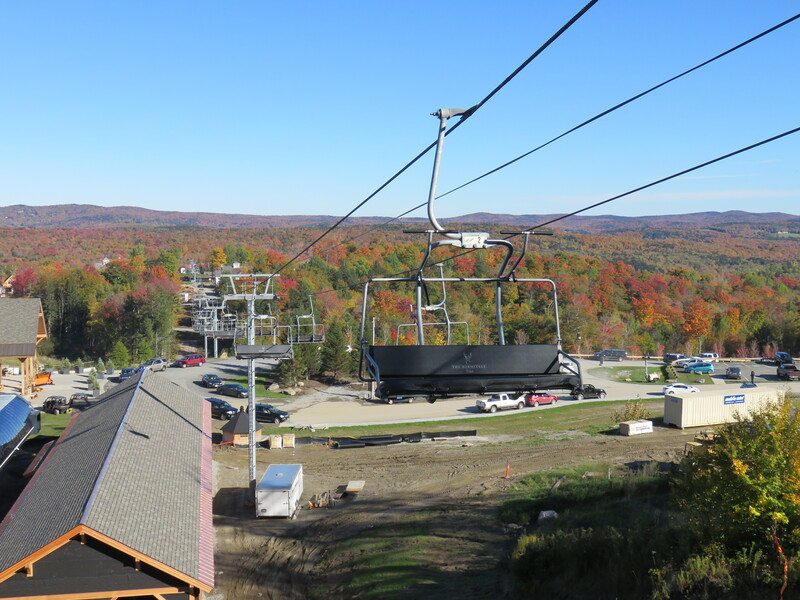 Just as many in the ski industry jockeyed at the prospect of buying well-maintained ski lifts for a steal, the Tamarack Municipal Association stepped in again at the eleventh hour. Four days before the auction, the homeowners bought all of the assets needed to run the resort’s five remaining lifts, presumably for pennies on the dollar. Today, Wildwood is shown on the trail map as a future lift. A big new high-speed quad opened at Ascutney Mountain for the 2000-01 season, adding 300 vertical feet to this decades-old ski area located along Interstate 91. The Garaventa CTEC detachable operated for nine seasons before repeated losses forced the ski area to close. Many blamed the failure on construction of the multi-million dollar high-speed quad serving only advanced terrain without snowmaking. 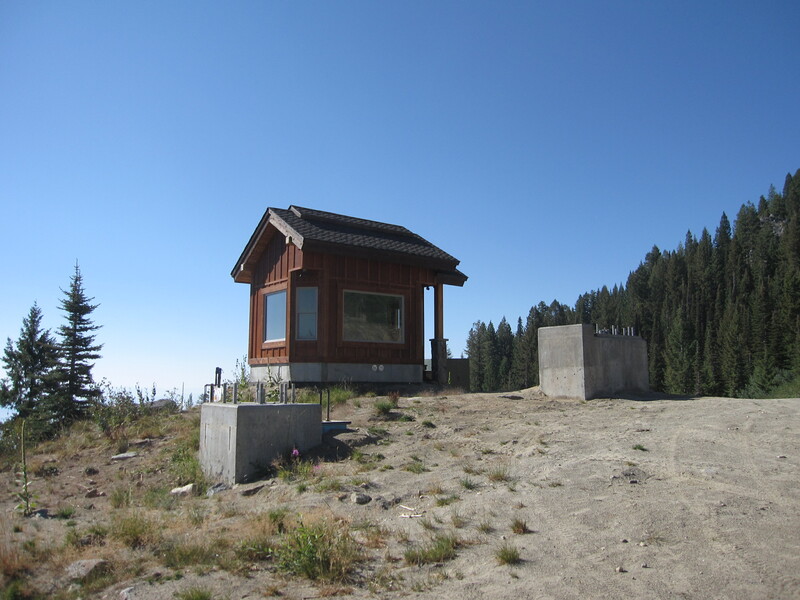 The ski area’s largest lien holder won an auction for the entire facility in 2013 but never reopened it for skiing. Burke Mountain reportedly offered to buy the high-speed lift before deciding on a new one instead. Crotched Mountain stepped in and bought the CTEC Stealth, which today is known as The Rocket. 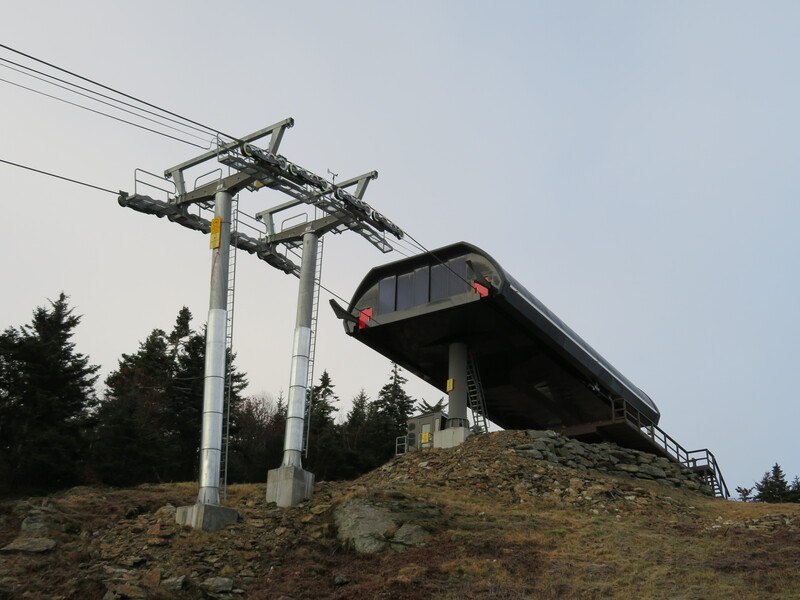 Pats Peak later acquired the area’s three CTEC triples and installed one of them this past summer. Ascutney is now owned by the Trust for Public Land and in an amazing turn of events, a nonprofit group called Ascutney Outdoors plans to build a T-Bar on the site of the former high-speed quad by next winter. 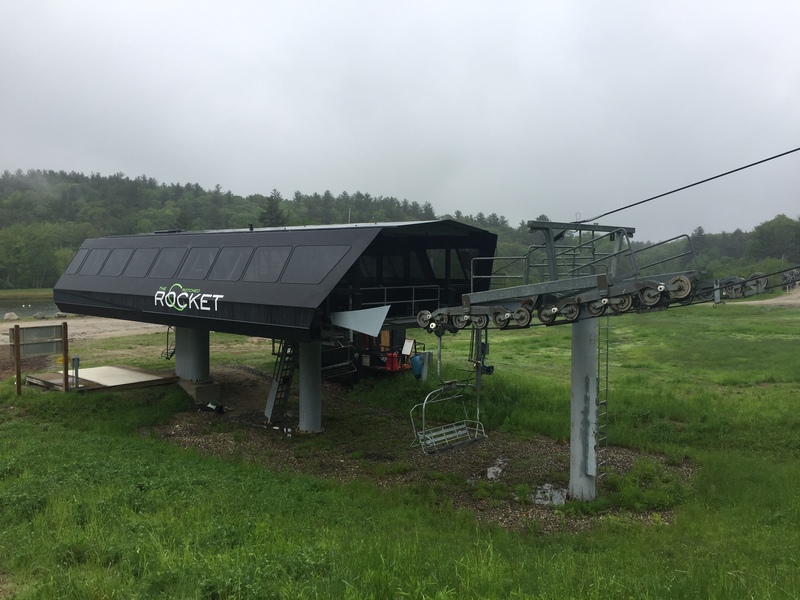 Ascutney’s loss was Crotched’s gain, allowing a small New Hampshire ski area to afford its first detachable lift. Y.C. in many ways is the most analogous to the Hermitage Club as a developer-owned private club targeting the wealthy. The Yellowstone Club was created with a $375 million loan from Credit Suisse and a crazy 14 lifts were constructed between 1999 and 2007. This Big Sky development filed for bankruptcy reorganization in November 2008, unable to pay many of its creditors amid the recession. It continued to operate through the turmoil and CrossHarbor Capital Partners bought the operation for $115 million in July 2009. Today the Club is apparently profitable and operated by Discovery Land Company. Y.C. recently opened three new lifts including a gondola. This bubble high-speed quad and other lifts at Spanish Peaks Resort sat idle for two winters. Spanish Peaks wasn’t so much a ski resort as a real estate development adjacent to Big Sky Resort. Developed by Pittsburgh billionaire James Dolan, the Club built an impressive five Doppelmayr lifts in the summer of 2005 to service ski-in, ski-out properties. Following the great recession, Spanish Peaks filed for Chapter 7 bankruptcy in October 2011. Unlike Chapter 11 reorganization, operations could not continue under Chapter 7 and all employees were laid off. A bankruptcy court appointed a trustee and real estate company to sell the club’s assets to pay Oaktree Capital Management, the primary creditor owed some $122 million. Fortunately, the property was more valuable sold as a whole rather than liquidated in pieces. An LLC representing most of the homeowners submitted one bid for the development but was outbid by Yellowstone Club’s CrossHarbor Capital. The company’s principal, Sam Byrne, scored 5,300 acres and five lifts for just $26 million at the June 2013 auction. Spanish Peaks’ lifts now operate as part of Big Sky Resort and are open to the public. The Moonlight Basin story has another happy ending with six lifts surviving bankruptcy and foreclosure intact. Lehman Brothers loaned the $124 million needed to build this ski resort on the north side of Lone Peak, which opened in December 2003. Amid the financial crisis, both Moonlight Basin Ranch and the bank itself went bankrupt during construction of the resort’s seventh lift. The remains of Lehman Brothers foreclosed on the property in 2012 and the lifts stayed spinning while the lender searched for a buyer. A year later, Big Sky’s Boyne Resorts and, you guessed it, CrossHarbor, partnered to buy Moonlight, where the new lift was finally completed last fall. Big Sky Resort today encompasses the lifts from Spanish Peaks and Moonlight Basin, two victims of a turbulent time in Southwest Montana. What does all this mean for the Hermitage Club? Berkshire Bank could successfully foreclose, the club could be sold as a whole à la Big Sky and/or assets liquidated like at Ascutney. The hundreds of homeowners could band together and bid to buy the entire company, as is reportedly being discussed and shown to be successful at Tamarack. Whatever happens will probably take years to play out but in the end, the lifts will not go to waste. If the private club model eventually fails, there are plenty of other mountains that would love a gently used bubble six-pack or Skytrac quad. Update 3/6/18: This post initially included a copy of a lien filed with the State of Vermont by Doppelmayr USA related to construction of the new Barnstormer lift. Doppelmayr reached out to me to say the lift was fully paid for within a few months of completion and there are no outstanding amounts due. I apologize for the misinformation. Crazy to see all these resorts go under for such similar reasons. Great Post! These private clubs need a constant inflow of new members paying initiation fees to pay for the lifts and if they underestimate the number of members joining, then this will happen. Not sure the number of members, but they’re in so much debt that I doubt they could save it even if they all paid an additional initiation fee. And Hermitage’s members are very well off, but not nearly as wealthy as YC’s members. Great well written article, Peter, I enjoyed it. If there’s only hundreds of homeowners and it’s a private club, why did they build a six pack and not a quad? Doesn’t seem like a six would be needed. How many times must this be covered? It was for marketing as there is no need for a 6!!! -(finally) Replace Sunbrook with a detachable quad on the same alignment but extended downhill to a length of 7814 feet. -(ridge lift 1) Fixed or detachable quad from the bottom of the extended sunbrook lift and ending at the top of the ridge, servicing a new trail complex and connector trails to the next lift. The old sunbrook quad could be reused in this alignment. -(ridge lift 2) detachable quad south of the ridge lift 1 servicing new trails including trails that go to and from ridge lift 1 and to Haystack. -(haystack lift) starting on the Ventura Highway trail and ending next to the top of ridge lift 2, providing lift service out of Haystack. I didn’t actually specify that. There is actually a good possibility that this happens. When Otten sold Haystack in 2005, the deal included a right of first refusal for Mount Snow to reacquire the ski area. In case you don’t know what this means (I didn’t before I looked it up), it works like this. If Haystack negotiates to sell for 10mi (or any price) to someone, they must first ask if whoever owns Mount Snow wants to buy it for that price. If they decline, then it can be sold. The question is if this is still in place. “In 2005, American Skiing Company sold Haystack to Tyringham Ridge, Inc. for $5 million. As part of the agreement, Haystack is prohibited from opening to the non-local general public. Up to 250 local residents per day are allowed to ski at Haystack, in addition to private club members.” – New England Ski History. In theory this (if it is still in effect) would prevent Haystack from reopening to the public on its own, so the only way to actually make it open to the public would be to eliminate Haystack as an entity and absorb it into another ski area, that ski area being it’s next door neighbor Mount Snow. Peak Resorts was the one that bought Mount Snow from ASC, so their right of first refusal is likely still in effect. However, Haystack was sold from Tyringham Ridge Inc. to Jim Barns (Hermitage Inn), and Mount Snow / Peak Resorts did nothing about it then. However that bubble chair and 80,000 sq. foot lodge probably looks pretty good in the eyes of Mount Snow / Peak Resorts. They’re probably just waiting until Hermitage falls apart so they can come in and pick up the pieces for short money. If Peak Resorts did acquire Haystack, they wouldn’t even need to connect it right away. They could just have a Sugarbush / Glen Ellen or Killington / Pico type of situation in place where the two ski aren’t actually connected over snow but still marketed as one ski area, and then they could develop new terrain in between later on to connect the two. There are lots of different ways to do this, but considering that Mount Snow / Peak Resorts will be solely responsible for opening Haystack to the public if it ever opens again after this mess, there’s a good chance that Haystack will be owned by Peak Resorts soon and somehow be integrated into Mount Snow. If it ever reopens to the public again, it will have to happen that way. It’s the only way from a legal standpoint. I wasn’t aware of that agreement that it couldn’t be a public ski area. Presumably that is controlled by Peak Resorts since ASC is no longer around. I’m not sure how deed restrictions work, but I assume that it would be fine if Mount Snow operated it as an auxiliary ski area like Pico is to Killington. Some RFR’s expire after first sale, but others remain in effect. Peak Resorts is way in debt, but I know Mount Snow and Hunter are VERY profitable, and they seem to be investing in them heavily. If the membership tried to take it over and the RFR is still in effect, Mount Snow could potentially exercise it, but would have to deal with the outcry from members that now lost all their money from initiation fees. If that doesn’t happen and it goes into foreclosure, then it would probably be better for the bank to sell it all off as one to Mount Snow than to liquidate like Ascutney. If it were to liquidate, I think the bubble chair could end up at Sunday River. Boyne already proved they like bubbles, and they have plans to replace Barker, and this lift is a good match length and vertical wise. That’s the only place I can think of off the top of my head that would want it in the east. That would be unbelievable if Barnstormer ended up at Sunday River. There’s 23 towers on Barnstormer, which should be enough for Barker but even if it wasn’t Doppelmayr could fabricate more. However there are only 88 chairs, so SR may need a few more to fit Barker’s line (obviously depending on spacing). Barker has to go, it has reached the end of its service life and has mechanical issues that close it every week. I know Boyne would like to replace it, but they don’t own SR, they just operate it so they don’t have much of a say in capital improvements. Still, if a lightly used six passenger bubble chair is going for a fire-sale price, I wouldn’t be surprised if they grabbed it. I believe that when a ski area is leased to an operator as SR is with Boyne, the operator can do what they want as far as capital improvements. 88 chairs should be enough to get 3000 pph on Barker. And Barker is actually shorter, so there are fewer towers. There is slightly more vertical, but I think the existing 700hp drive on Barnstormer would be fine, as I’m aware of longer lifts with more vertical that also have 700hp drives. The other relocation possibility could be Jay Peak for the Bonaventure 6 pack, but that would have to wait for someone else to buy it from the receiver. If Vail were to buy it, I think they’d want a brand new lift as they’ve never installed used detachables bought from other Vail mountains. I also think the bubble would make sense at Jay because it would be another enclosed lift and take lots of marginal intermediates off the tram. Interesting article, sad to see ski areas going bankrupt, but one has to wonder about these private resorts. Is there really a market for something like that? The public ski areas are the ones that really need saved! This is unfortunately so very predictable. No need for a 6 pack on a mountain that size with no concerns about capacity. That was all any observer needed to see to know that this wouldn’t end well. Not only did they build a 6 pack where they had zero need for one, but they built the two Skytrac quads and a shiny new lodge and lots of real estate with zero plans for how to pay for them. Clearly there’s not many people willing to drop 75k to ski at an unstable small ski area in Vermont when they could do lots of trips out west instead. Yeah, that 6 pack was just overkill. They would have done better with a quad. The lift company may have been paid, but the club may have a loan out for the lift that they still owe money on. Two different things I believe. We used to love the “old” Haystack. When you took the double chair from the lower mountain and original base lodge to the upper mountain with no base lodge. You took the old triple to the summit. That was before the Witches. Mt Snow will never take it over. They are already up to their ears in capital projects (such as new base lodge at Carinthia) and the only value would be weekend overflow. The two mountains will never be connected by lifts. Too many environmental issues – bear habitat for one.